Are ABY boxes giving you a headache? Morley's ABY Pro Selector is just what the doctor ordered! 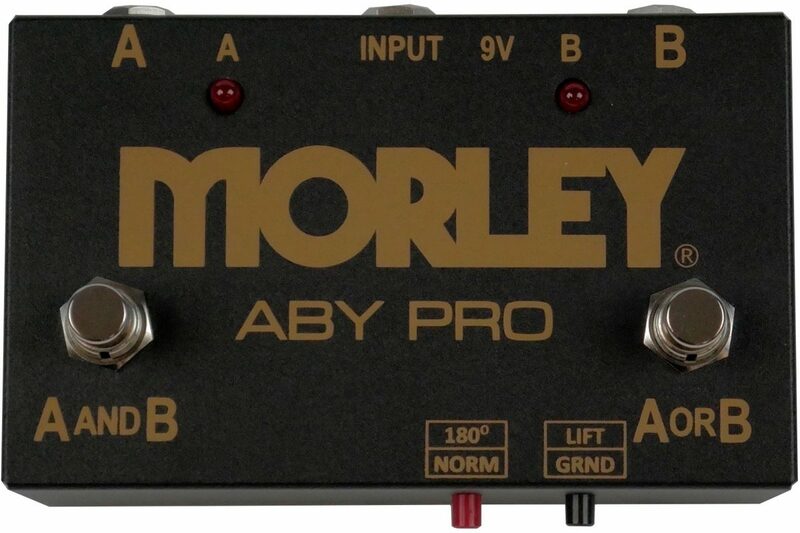 Based off the original Morley ABY Switcher our Pro version is equipped with features that will help solve issues commonly faced when using switching devices for multiple amps. Features include a higher enclosure for easy access, a state of the art custom Ebtech transformer, silent switching, a reverse polarity switch and a ground lift switch. 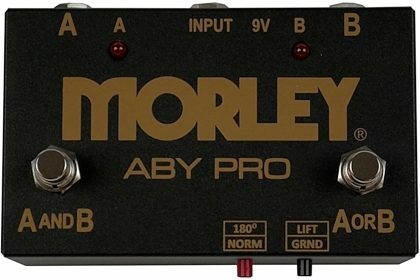 - The ultimate ABY amp selector. Route 1 input into 2 outputs. Choose A, B or both. - Custom Ebtech 1:1 isolation transformer for absolute transparency and level output. - Silent Switching to prevent pops and bleed. - Reverse polarity switch to prevent phasing issues. - Ground lift switch to combat hum from ground loops. 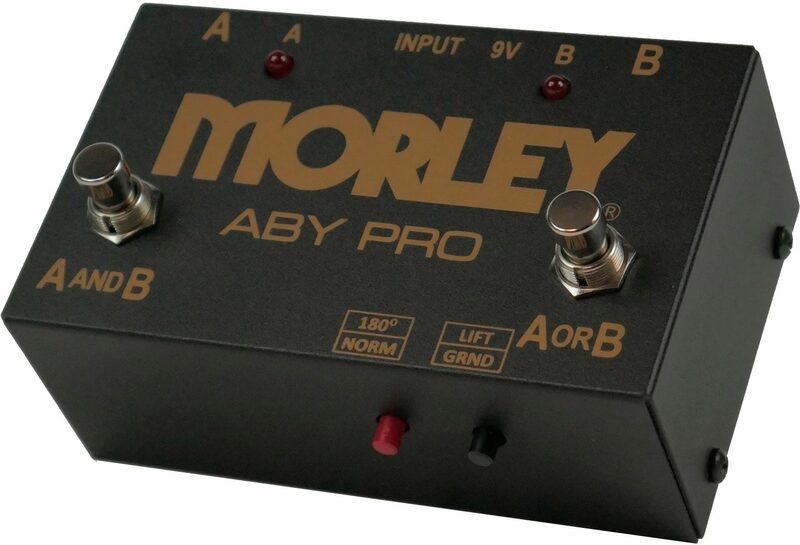 - Powered by one-9v battery or optional Morley 9v adapter. Compatible with most 9v adapters. - LED indication, quick clip battery door and one-year warranty.